Superfoods help in maintaining our health in a better way as they contain the best nutrients in them. They are beneficial for giving a boost to our energy level and they are also good for losing weight naturally. Apple is low in calorie and is a rich source of dietary fiber, phytonutrients and antioxidants. Consuming it regularly can protect you from various diseases. They are best for providing you a healthy body as well as a glowing skin. A study was made on almonds, which asked the participants to chew 2 ounces of almonds10, 25 to 40 times, showed that they felt more full and their fat consumption also reduced. According to doctors, chewing the almonds released more fat from the almonds and this, along with the fiber contained in almonds, satisfied their hunger pangs. Blueberries contain high amounts of antioxidants and fiber and are excellent for your health. They are also rich in vitamins and minerals. Being loaded with fiber, blueberries keep you feeling full for a longer time and prevent you from eating extra food. This way you can lose weight effectively by including them in your daily diet. Cranberry juice is a rich source of antioxidants and is also a good diuretic. This helps in the removal of excess water from the body. As a result, the weight gain due to fluid retention is reduced. Flaxseeds are very effective for helping you lose weight. Consume 1 tablespoon of ground flaxseed daily and you will succeed in losing weight naturally. It is a rich source of omega 3 fatty acids and rich in fiber. This makes it excellent for satisfying your appetite and preventing you from over eating. It also promotes physical and mental wellbeing. You can have it by mixing it in 1 glass of milk or else you may sprinkle it on salads, soups, chutneys, scrambled eggs and so on and have it. Green tea is said to be excellent for your health and is considered as one of the super foods that you can have. By drinking 2 or 3 cups of green tea daily, you can easily lose the extra pounds you have gained. It is also rich in antioxidants, which help in the burning of fat and calorie. If you want to reduce weigh, have hot chili peppers with tomato juice 30 minutes before you have your meals. This makes sure that you consume 10% less than the normal quantity of food that you have. 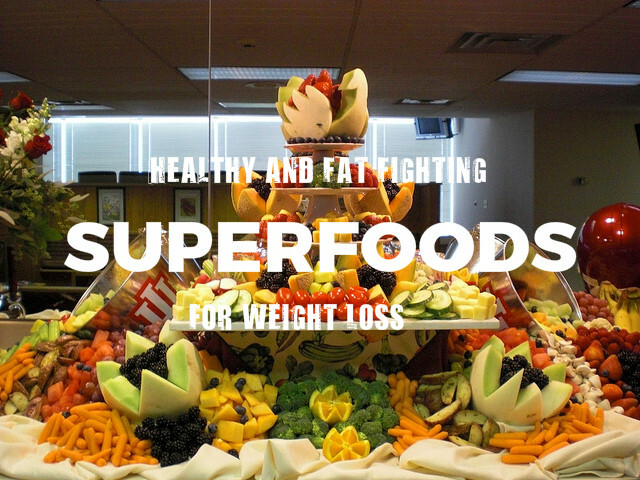 So, this food is considers as one of the super foods for weight loss. Lentils are rich sources of proteins and fiber. Having lentils regularly supplies you with the protein needed and also keep you full for a longer time. It contains Resistant Starch, which is a carbohydrate that helps in increasing the process of metabolism and burning of fat. If you are a vegetarian and want to have food that is similar to meat in its qualities, then mushroom is the best choice for you. It is tasty and full of essential nutrients needed for your body. Research has shown that replacing red meat with white button mushrooms can help you reduce the intake of calorie and also lose a few pounds. One cup of mushroom contains 44 calories while the same amount of lean red meat contains 6 times the calories present in mushrooms. Most of the people think that olive oil contains fat. But they do not know that the fat contained in olive oil can help them lose some amount of fat from the body. It contains polyunsaturated fatty acids, which helps in keeping away the hunger pangs. Moreover, presence of oleic acid n olive oil helps in the breakdown of excess fat in the body. Oats can are rich sources of dietary fiber and good for losing weight, as they keep your stomach full for a longer time and prevent over eating. The carbohydrate present in oats helps in the secretion of a hormone called serotonin, which is effective for relaxation and burning of fat. Pomegranates are loaded with antioxidants and folic acids and are very healthy for the body. They are low in calories and rich in fiber. This makes them one of the best foods for weight loss. Having this fruit lowers your cravings for sugar and prevents you from putting on extra weight. Salmon contains lean protein in high amounts. Consuming salmon regularly is very effective for losing weight and maintaining the weight. This is because they keep you full for a longer time and at the same time, do not increase your inches. It is also rich in omega 3 fatty acids, which can improve the insulin sensitivity and keep your heart healthy and in good condition. About 92% of this fruit consists of water. It is also a rich source of vitamins A and C, as well as lycopene, which is a powerful antioxidant. They help in burning extra calories in your body and are great for helping you lose weight in a natural way. Yogurt gets digested more easily than milk. It is a rich source of B vitamins and calcium and helps in increasing the immunity power of the body. Consuming yogurt regularly helps in reducing your hunger pangs as it has the power to regulate the blood sugar levels in the body. It is also beneficial for lowering the risk of colon cancer. Moreover, it provides you healthy skin and hair.